Since 1 week ago, I have problems with TenFourFox. 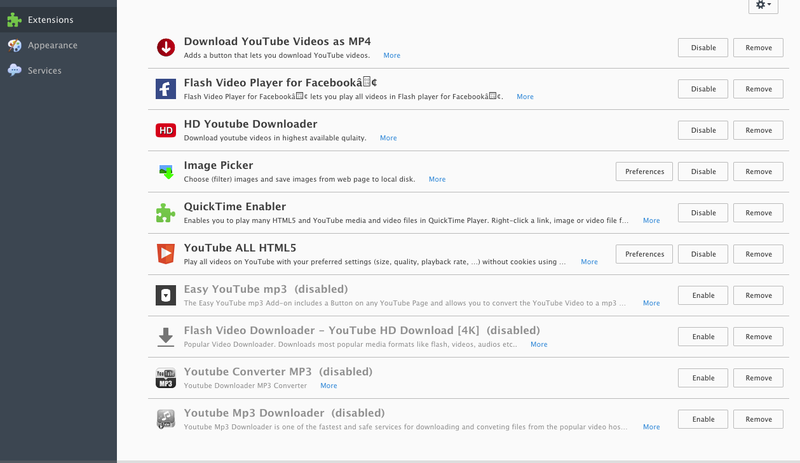 Does not read Youtube movies, very slow, does not configure ad-ons, difficulties in using Gmail. 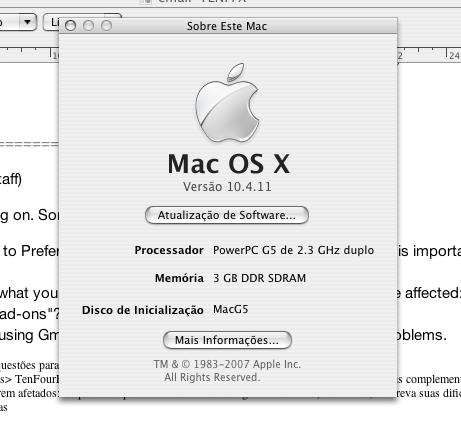 I'm unhappy because I use Mac G5 I'm a Portuguese senior visual artist. For many years I have used TenFourFox. 1) Do you have MSE enabled? (go to Preferences>TenFourFox and check 'Enable MSE') This is important for YouTube. 2) Which add-ons are affected by what you describe as "does not configure"? If all of them are affected: What do you mean by "does not configure ad-ons"? 3) Please describe you difficulties using Gmail. Otherwise it will be hard to troubleshoot the problems. Chris, thanks for the contact. 3 - *Difficulties started 3 weeks ago*, suddenly. Re-installed TenFourFox. -performance worsened with the 'parity' versions. 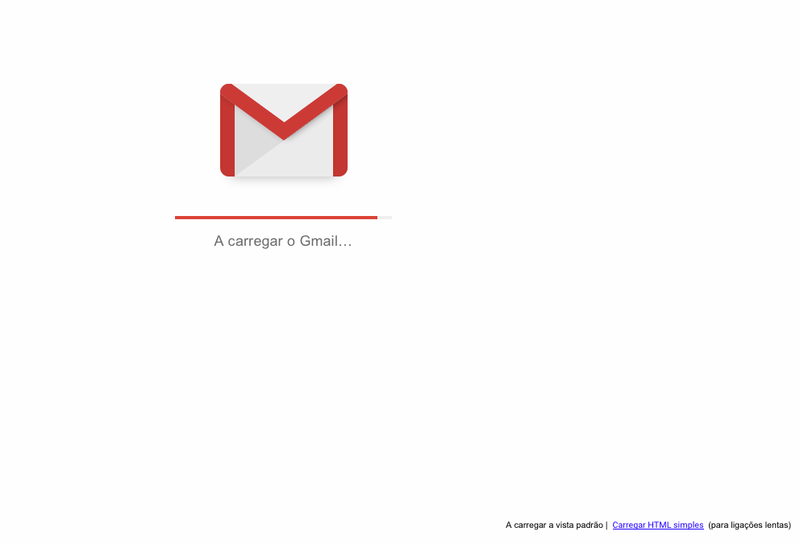 -Too slow in Gmail, I see in 'html'. Nothing would play on YouTube lately, thought I was losing my mind… came here, saw reference to MSE, turned it on (why was it off? no idea), and the Power Mac G5 is back to its monster self playing some Prince for me. Thanks Chris. Aurelio, all add-ons concerned with YouTube on your list will have stopped working a while ago when YouTube changed its layout. There is nothing we can do about this. There is no support for Flash, therefore all add-ons using Flash have stopped working several yers ago in TenFourFox. Maybe it's time for a profile refresh to clean out old garbage that slows down your computer: Go to Help> Troubleshooting Information and click Refresh TenFourFox. Kathiallyson, you're welcome, MSE will be turned on by default in the next version of TFF. TenFourFox FPR 10 has improved a lot. Thank you. There will always be websites that are a bit slow. There is only so much magic you can do in software on hardware that's more than a decade old. BTW I still find Apple's Mail v3.6 quite capable with the security certificates and updated HTML engine provided by Leopard Webkit. It's very performant and stable (unlike the versions of Mail that Apple has blessed its users with in more recent OSes). 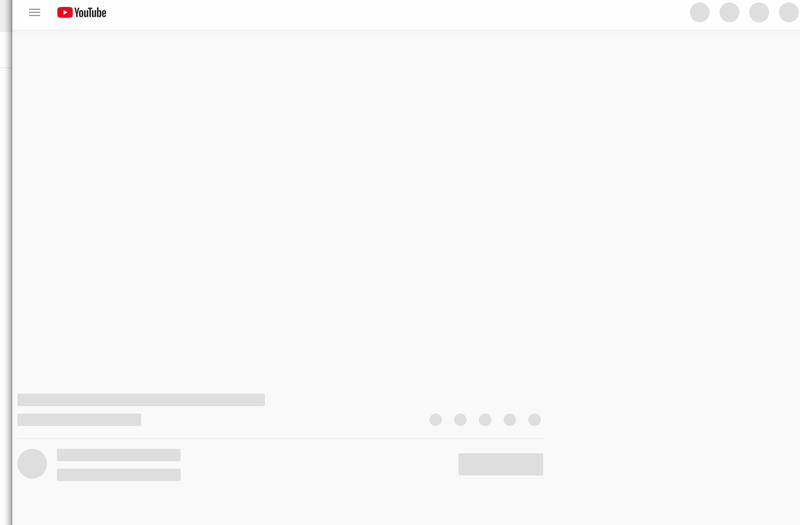 At least you should use Gmail with the simple HTML interface.